The SX is a small spa that performs. 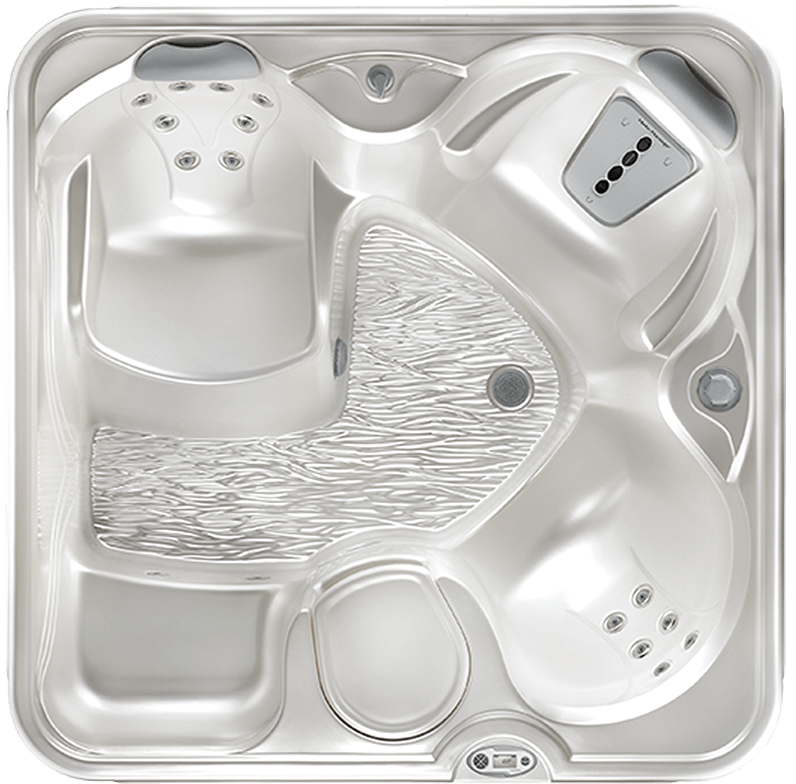 The 3-person Hot Spot® SX™ spa comes complete with a Moto-Massage® DX jet and the same outstanding features you find in a full-size Hot Spring® spa. 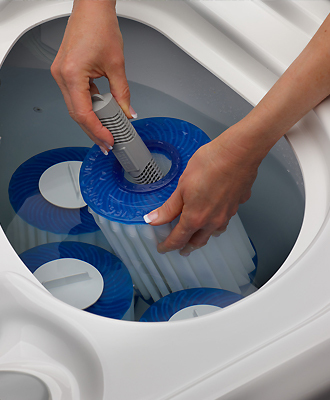 The SX includes a No-Fault® heater, and FiberCor™ insulation. 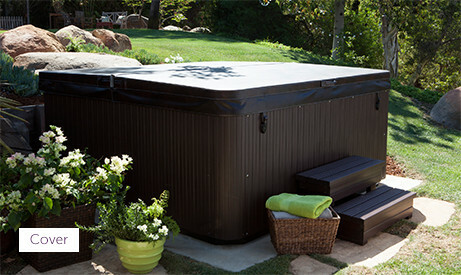 This hot tub is part of the Hot Spot® Collection. The jet system offers an incredible 17 jets that relieve-tension in targeted areas including your back, neck, shoulders and calves. Designed to provide years of comfort, this spa is equally enjoyable, affordable and efficient. Choose from several water care system options, including the FROG® @ease® with SmartChlor® In-Line system, that make it easy for you to enjoy sparking clean water. 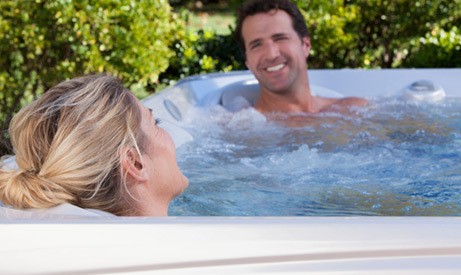 Hot Spot® Spas are designed to become a part of your everyday life. These spas offer jets that help you feel your best, in a package that fits your budget and your lifestyle. 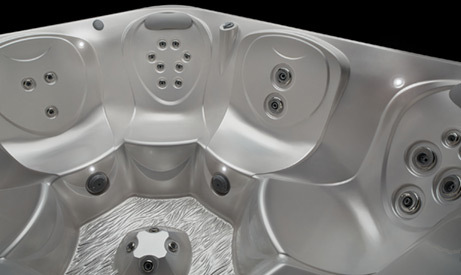 Hot Spot Spas feature jets that relieve tension in your neck, shoulders, back, calves and feet. 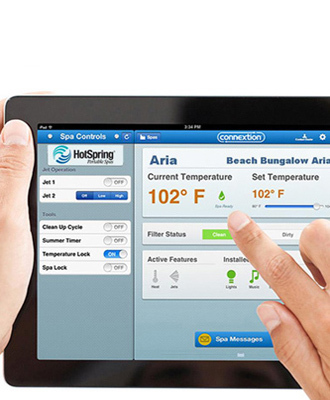 All Hot Spring spas offer Energy Smart features, which helps your spa deliver the best value over time. Every Hot Spot spa comes ready with this easy in-line system. Insert prefilled cartridges to automatically release SmartChlor chlorine and minerals for easy care and softer–feeling water. Learn More. Available in the U.S. only; bromine is available in Canada. For those who prefer a more traditional approach, we offer a complete line of FreshWater bottled products for a complete maintenance program designed especially for use in your Hot Spot spa. 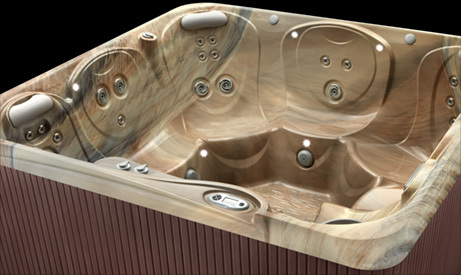 Our dedication to high-quality construction and unparalleled customer care means you can enjoy your Hot Spring spa for years to come. You can count on support from our network of experienced and professional retailers and our straightforward warranties to ensure your spa is always running at its best. We don’t expect you to take our word for it though. We are proud to share the real experiences of our customer’s right here on our website. 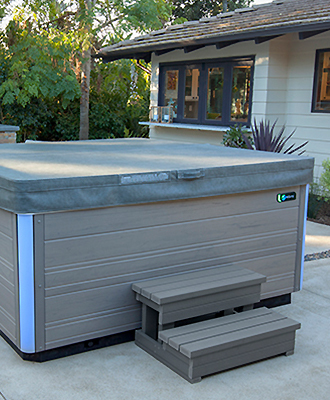 Hot Spot Spas feature attractive shell and cabinet designs that will integrate beautifully into your backyard. Colorful lighting and soothing waterfalls (on select Hot Spot models) add to the fun. 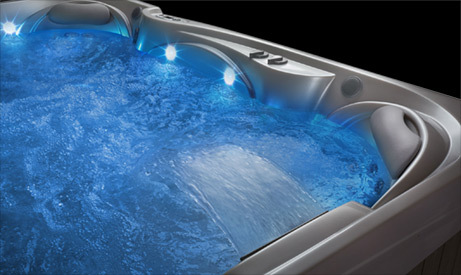 The Tempo, Rhythm, and Relay models also feature a relaxing waterfall, and 10 points of multi-color lighting. The SX Jet System offers an incredible 17 jets that relieve tension in targeted areas including your back, neck, shoulders and calves. These jets soothe your back, neck and calves with adjustable nozzles for a customizable massage right where you need it. The look of the spa is luxurious. The finishes and options are modern. My neighbors are jealous of my spa! Aside from relaxation, I purchased the spa due to chronic neck and back pain. My hot tub has been one of the best purchases, money well worthy spent. Amazingly easy to take care of. You definitely get more for what you pay. Relaxation at best! * Includes water and 3 adults weighing 175 lbs. each. ** Requires a dedicated circuit supplied to the unit at all times. Electrical requirements will vary outside the U.S.
*** G.F.C.I. protected sub-panel required in 30amp conversion or 220v mode. Export models available in 230v, 50Hz, 1000w heater.